This is another grainy photo and appears to be from late 1944 or early 1945. 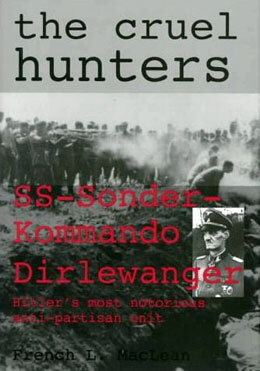 Dirlewanger looks older; he knows that if Germany loses the war, he will be tried and executed. 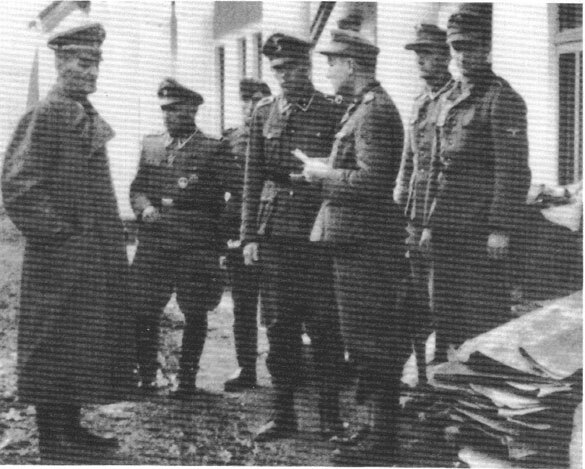 The officer in the background close to Dirlewanger appears to be wearing the Anti-Partisan Badge in Silver; that would mean service with the Sonderkommando for a long time.